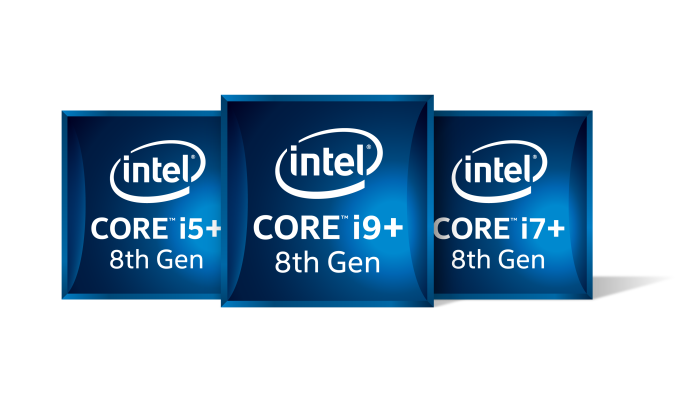 The march from Intel for everything to be under the ‘8th Gen Intel Core’ branding is now at its climax: today is the official launch of several new 8th Gen products spread across four of five new categories. The headline is that Intel’s mobile platform will now get Core i9 and Core i7 products with six cores at 45W, along with some 28W U-series mobile chips with Iris Plus graphics. Desktop also gets some extra chips, filling out the Coffee Lake stack for desktop users, and vPro is littered around both mobile and desktop. Also on the plate is new branding for 8th Gen Core products being used with Intel’s Optane drives, new mobile and desktop chipsets which include wireless capabilities and USB 3.1, and Intel’s new ‘Thermal Velocity Boost’ which promises more frequency in devices that can handle the thermal stress. Because there are so many different aspects to Intel’s processor strategy being announced today, here is a quick bullet point list of all the headline features, which link to their respective pages. Leaks for a lot of these products have slowly been appearing in the media for some time, with a number of OEMs, particularly in the laptop space, ready to pounce with their latest generation of products – some of them are set to be announced at the same time as this announcement, such as GIGABYTE’s Aero line with 144 Hz panels and 8th Gen processors, while others will be going live very soon. Prior to today, Intel’s 8th Gen launch has been of certain choice components only. Back as early as August we saw the launch of a small handful of U-series 15W mobile processors, dubbed ‘the Kaby Lake Refresh’ launch, by virtue of the chips being binned from already manufactured quad-core Kaby Lake silicon. These parts offered a route into quad-core CPUs for Intel’s mobile partners within a strict TDP/PL1 limit of 15W (despite peak power PL2 moving up from 19W to 44W). In October 2017, Intel launched six desktop processors, as well as a desktop chipset ecosystem to go around them. These new components were the first of Intel’s ‘Coffee Lake’ generation of components, giving the six-cores on Intel’s latest version of its 14nm manufacturing process. Again, components were binned to ensure that the base frequencies hit the traditional TDP/PL1 limits, such as 95W for the Core i7-8700K, however high-turbo modes afforded a hungry chip. Nonetheless, the raw performance gave a new peak single-threaded champion processor, and even more so when overclocked. Then most recently in January of this year, Intel launched its new G series processors that bundled a standard 45W Kaby Lake mobile processor with an AMD Radeon graphics chip and HBM2 memory all in the same package. The new product line, called ‘Intel Core with Radeon RX Vega’, was a supply agreement between AMD and Intel, with AMD effectively selling the graphics chips to Intel and it is up to Intel to sell the full components under Intel branding. These parts fit somewhere between the high-end mobile CPUs and user systems with mid-range discrete GPUs, and the first product launched was the Intel Hades Canyon NUC, to which the embargo lifted on reviews only a few days ago – Ganesh has all the pertinent details on the system in his review. Many people expect Apple to be Intel’s biggest customer with these parts, however the future of the product line is unclear, with Intel unwilling to discuss the roadmap on what is being called ‘Kaby Lake-G’. What should be clear is that Intel is mixing and matching its processor microarchitecture designs, as well as process node variants, within the same product family. So far the ‘8th Gen Intel Core’ family has processors built on Kaby Lake (Kaby-G), Kaby Lake Refresh (U-series), and Coffee Lake (desktop). The announcements today muddy the water even further, with Coffee Lake coming to the mobile parts, potentially more Kaby Lake Refresh in mobile too, and more Coffee Lake on the desktop. The as-yet unreleased 10nm Cannon Lake CPUs, which Intel claims to have started shipping, are also set to be part of the 8th Gen family. Unknown Cascade Lake (Server) ? ? Perhaps the most poignant part of this is that when Intel gave us the briefing for these components, nowhere on the slide deck was there any mention of which microarchitecture applied to which processor. Back at Intel’s Manufacturing Tech Day in early 2017 (no word on a 2018 equivalent yet), it was stated that Intel was going to be fluid on microarchitecture and naming between the generations. So far we have underestimated just how fluid Intel wants to take this, as it now becomes clear that Intel is set not to specifically focus its PR relating to any microarchitecture names for the sake of clarity. Though this is blunted somewhat by the fact that Kaby Lake and Coffee Lake share the same CPU and iGPU architectures, thereby limiting the actual differences between the two. However this fluid strategy also hides some of the additional functionality that the latest platforms will bring: case in point, new chipsets. As part of today’s launch, Intel is announcing four new chipsets for the desktop platforms. This models ‘fill out’ the product stack, similar to how previous generation chipsets were labelled. Joining the currently available Z370 chipset will be the mid-range H370 chipset, the corporate focused vPro-enabled Q370 chipset, the cheaper mid-range B360 chipset, and the limited function (but super cheap) consumer-focused H310 chipset. All four of these new chipsets are based on the Platform Controller Hub (PCH) originally designed for the still-missing Cannon Lake architecture CPUs. The headline for these parts is that as they're actually based on a newer generation PCH, they come with a number of new features. The first headline feature is the integrated 2T2R 802.11ac Wi-Fi support, allowing the latest Wave 2 (160 MHz) channel communications and giving speeds up to 1733 Mbps. Intel states that this is 12x faster than 1T1R 802.11n support provided by low cost solutions, and double the performance of most 2T2R options on the market. Despite Intel support however, not all motherboards that use a chipset that offers this feature will have it implemented: we canvassed some of the manufacturers and were told that the periphery around Wi-Fi support, such as manufacturing, trace layouts, the companion module, antenna, and potential regulatory support (given devices shipping with Wi-Fi) can add an additional $15 cost to the motherboard. Given that H310/B360/Q370 are designed to be at the lower end of the cost spectrum, there may only be a few motherboards that were already planning on having Wi-Fi that would enable this feature, as it does (sort of) save some money overall. The AC-9461 (a low-end 1T1R module). All three CRFs support Linux, Chrome OS, and Windows 10, but are only offered with a 1 year warranty. The second headline feature is the support for USB 3.1 Gen 2 (10 Gbps) ports native to the chipset. This is using Intel’s own IP, and shows Intel reaching parity with the competition. Motherboard manufacturers will have to use HSIO lanes to enable USB 3.1 Gen 2 (10 Gbps) ports, with up to four being supported on H370/B360, and six being supported on Q370. In order to implement a Type-C port, a re-driver is required, as with other Type-C implementations. It will be interesting to see the number of 10 Gbps ports that are put into play on the motherboards available. We have asked Intel for breakdowns of the HSIO appropriation rules, and are waiting for that information. Unlike the materials we recieved in our Skylake launch decks, the 8th Gen HSIO data was not provided in the materials for today's launch. Also on the plate for the chipsets are features like Modern Standby/Smart Connect, allowing for systems to update email and such while in a sleep state similar to some laptops. Intel was proud to state that this is the first time the feature has come to the desktop, whereas previously it was seen more as a laptop-focused feature. This is enabled through the chipset and the network connection, although Intel only lists the 1T1R enabled CRFs as supporting this feature, meaning that the 2T2R might not. We are waiting on confirmation. Update: Intel has confirmed that all three CRFs support Modern Standby. Intel also lists ‘ambient computing’ as being enabled by the chipset. This allows for wake-on-voice in a low powered mode, much like a smartphone or connected device that the user can call Cortana or Alexa while the system is in screen-off or Modern Standby. For the launch today, Intel is also announcing a number of notebook chipsets with similar features: enhanced audio, enhanced IO, integrated 802.11ac with gigabit throughput, and USB 3.1 Gen 2 (10 Gbps) native support. Unfortunately, Intel didn’t provide any details on what the new chipsets are called, let alone their capabilities, which is surprising given how forthcoming they have been before with this information. Probably QM370 or something similar. We will update this page when we know more. Update: Because Intel ARK (ark.intel.com) has the information at launch before Intel's own PR does, we now have the information on the mobile chipsets. HSIO Lanes ? ? ? Max RST PCIe Storage ? ? ? Supports Optane Y ? ? Some of the information is still missing, like the HSIO lanes, and ARK is a little sketchy on Optane support. However interestingly Intel does give the 1K pricing for two of the chipsets, at a whopping $49. I would assume that this is more of an arbitrary number: if the vendor buys the CPU and PCH at the same time, there's some discount involved. It seems odd to go into a CPU launch and describe a bunch of chipsets on the first page. The main reason is this: with the cluster of microarchitectures now living inside the ‘8th Gen’ branding, each product line has different chipsets for different parts of those products. Without knowing the intimate breakdown of how Intel segregates its naming within the 8th Gen family, there is no specific way to know whether the platform you are investing in using native connectivity, controller provided connectivity, whether that platform is guaranteed feature XYZ as part of its base package, or if that feature is going to cost a lot extra. Simply by looking at the CPU SKU is no longer enough to identify if the product might take advantage of a feature. 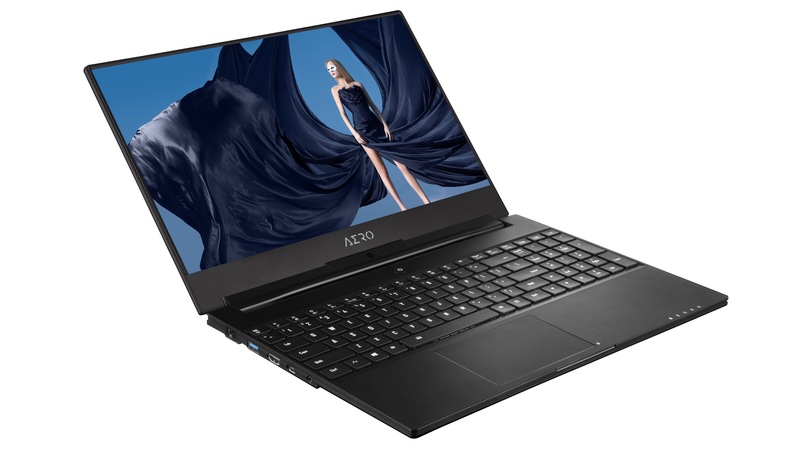 Take for example, a new 8th Gen Core laptop. The OEM lists the CPU simply as ‘quad-core 8th Gen’ and lists the Wi-Fi support as just ‘802.11ac’. There is no way to tell if that Wi-Fi module is native to the chipset or something additional (which draws power). There is nothing to say if the CRF is using a 1x1 connection or a 2x2 connection. Out of the two USB 3.1 (10 Gbps) ports, there is no way to tell if they are coming from an ASMedia chipset or hub, or if they are coming from the chipset. For the bulk of Intel’s business, probably not. Buy the latest, and the user experience is the user experience. Someone might be concerned if the cheaper model has the better user experience, which is a tough one to explain, without it being a new full generation. But for the enthusiast that details the minutiae of their purchase, the enthusiast that scours the Internet for feedback and information – those that spend as much time researching that purchase as they would have been paid to get double the system: it matters. If you’re reading AnandTech, it probably matters to you too. It also means that in-depth reviews matter more than ever before. As a reviewer that is probably good for business, but as a consumer it makes me want to pull my hair out. Nonetheless, there is more to today’s launch. Mobile Core i9, anyone? Desktop will come much later... Intel always does this. "The number of screens has nothing to do with desktop/laptop."